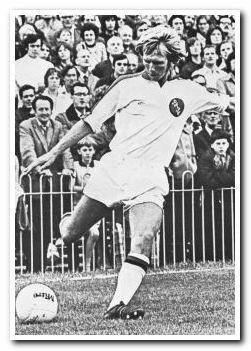 Johnson was an Argyle apprentice who spent his entire career with the club, barring two loan spells with Torquay United. 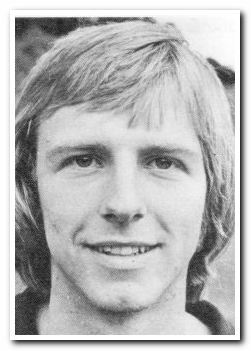 A key member of the 1974-75 promotion side, he was a consistent and reliable performer throughout his time at the club, mainly operating on the right wing. He made himself famous by firing a penalty so far over the crossbar at the Barn Park End that it was eventually found in the hippopotamus enclosure at Plymouth Zoo. In mitigation for Brian, Greens on Screen has been reliably informed that the penalty into the hippo pen was during a reserve match! At least it wasn't a league game - stuff of legend, nevertheless!